Phytorelax Aloe Micellar Water is a multi-action product with a 4 in 1 formula that removes makeup, cleanses, hydrates and tones in a single facial application. 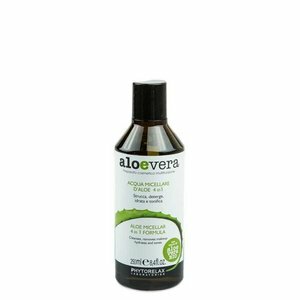 The high content of organically sourced Aloe Vera juice and plant surfactants (40%) make this an exceptionally delicate product that’s also suitable for sensitive, irritable skins that find most cleansing waters too aggressive. Apply to a cotton pad and gently rub into the face and around the eyes to remove impurities. No need to rinse. 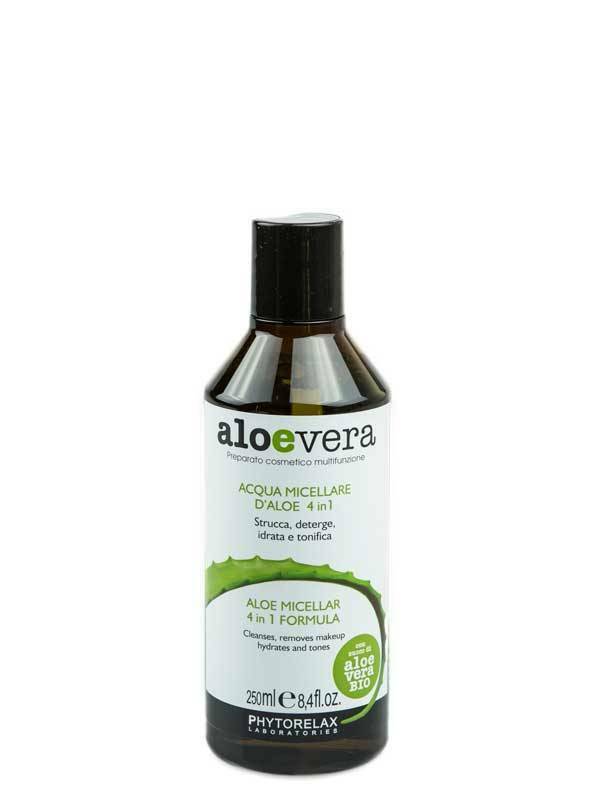 Aqua [Water], Aloe barbadensis leaf juice (*), Caprylyl/capryl glucoside, Hamamelis virginiana (Witch hazel) leaf extract (*), Chamomilla recutita (Matricaria) flower extract (*), Sodium levulinate, Potassium sorbate, Sodium cocoyl glutamate, Polyglyceryl-5 oleate, Lactic acid, Glycerin, Glyceryl caprylate, Parfum [Fragrance], Sodium phytate, Citric acid, Sodium benzoate.